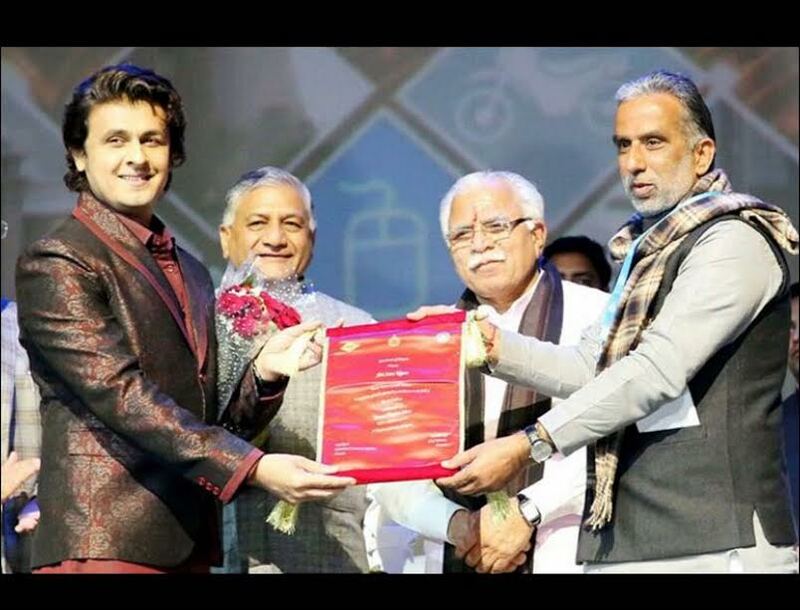 Ace singer Sonu Nigam who has ruled the music industry for over two decades has recently been conferred ‘Haryana Gaurav Samman’ by the Haryana Government on the occasion of ‘Pravasi Haryana Divas’ held in Gurugram. As a part of its Golden Jubilee Celebrations, Government of Haryana organised ‘Pravasi Haryana Divas’ on 10th and 11th January, 2017. The special recognition by the Haryana Government was conferred upon Sonu Nigam for his efforts and achievements in the Arts and Culture sector. The felicitation took place on 11th January in Gurugram, Harayana. Apart from Sonu Nigam, the evening was attended by Union Ministers, Ministers of Haryana, Senior Bureucrates, Industry Captains and other renowned personalities.